Gunjan Bhardwaj gives his opinion on how new technologies can help solve some of the problems in the pharma industry. The pharmaceutical industry today finds itself under a harsh spotlight as corruption accusations become increasingly prevalent. Though the vast majority of individual researchers, physicians, and other stakeholders involved in drug development have patients’ best interests in heart, certain structural features of the industry unfortunately tend to incentivise corruption. Fortunately, new technologies, such as Artificial Intelligence (AI) and blockchain, can help eliminate perverse incentives and improve transparency and accountability within pharma. These new technologies will be able to drive down costs associated with development, decreasing the need to make up for lost profits and, in effect, reduce the incentive for corruption. Unfortunately, when corruption occurs, it is often substantial. SciClone Pharmaceuticals recently settled their case of more than $12 million in fines, penalised by US prosecutors after violating the Foreign Corrupt Practices Act. The California-based company was found guilty of providing excessively expensive gifts to Chinese physicians in order to boost profits. Purdue Pharma was fined $600 million in 2007 for misbranding its blockbuster painkiller drug, OxyContin, as only moderately addictive and for not providing proper safety precautions about the severe addictions it has created among millions of patients since its inception. Critics say the fine is hardly relevant, considering Purdue Pharma has made over $35 billion in revenue from the drug. One of the biggest corruption charges in recent times involved GlaxoSmithKline’s China location. In this case, the UK-based pharma giant was prosecuted by local authorities and was found guilty, in 2014, of bribing physicians and hospitals to promote their products and was ordered to pay $490 million. The pharmaceutical industry spends roughly $250 billion per year lobbying its drugs to politicians for tax breaks and extra funding through campaign contributions, bribes, or hush money. Many companies and researchers push drugs through the clinical trial process for the purpose of preserving their jobs and driving revenue instead of focusing on the ultimate goal of patient health. Companies have been known to bribe, or otherwise illicitly incentivise, physicians to write prescriptions for their drugs, even against the overall health interests of the patient. This creates a landscape where profits are more important than patients. Pharmaceutical companies are focusing on the money maker – the medication – as opposed to prevention of the disease. A good example is lung cancer. If the pharma industry really wanted to cure lung cancer, it would go after the tobacco industry and pressure regulators to decrease the amount of tobacco-related products entering the market. But instead of taking this theoretically effective route of action and prevention, pharma companies are incentivised to keep pushing their manufactured medications to the mass market. Remember that, even though the pharmaceutical industry is sometimes portrayed by the media as an evil machine whose only objective is making money, in reality, the vast majority of researchers, clinicians, statisticians, and physicians are good people trying to make the world a better place. It’s not that pharma companies are evil, but rather that the whole system is broken. This is where AI and blockchain technologies can help. These both have the potential to improve the success rates of drugs. They can also help decrease the decade-long timelines associated with developing a new drug. Integrating AI and blockchain into the pharma industry would cut costs for companies considerably, placing less pressure on them to drive revenue at any cost, licit or illicit. Blockchain can also improve accountability and mitigate the problem of counterfeit drugs. With $200 billion per year lost to counterfeits, and patient safety issues on the rise, a chain-of-custody log, that blockchain could potentially implement, holds major promise for pharma companies and regulators alike. Both AI and blockchain technologies can help provide relevant information to patients, boosting patient education and reducing their dependence on doctors. These same tools can also better educate physicians so that they no longer have to default to prescribing the medications the pharma companies are pushing just for revenue. In order to minimise corruption, technologies such as blockchain and AI must be implemented as soon as possible. 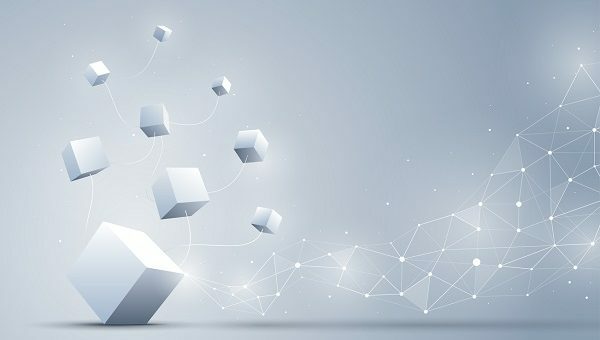 In the future, a pharmaceutical industry integrated with blockchain would have much lower drug development costs, more efficient clinical trials, and an effective and efficient system of secure spending, transparent data and more medicines for patients and consumers throughout the world. 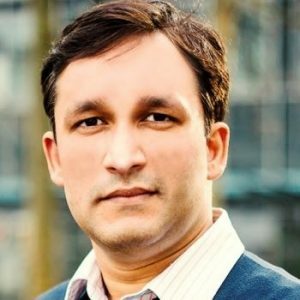 Gunjan Bhardwaj is the founder and CEO of Innoplexus, a leader in AI and analytics as a service for life science industries. With a background at Boston Consulting Group and Ernst & Young, he bridges the worlds of AI, consulting, and life science to drive innovation.